I am on the biggest cactus kick lately. It seems like every store I walk into has them in some form or another (statues, fabric, art, crafts, etc.)! 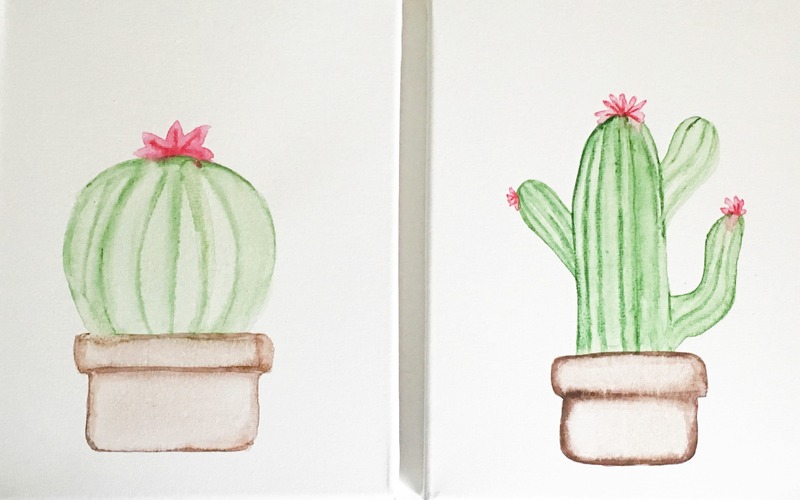 I thought it would be fun to combine cacti with a favorite passion of mine – watercolor. I love creating art with watercolor because it’s really hard to mess it up. The beauty of this medium is that it’s supposed to look imperfect. You can get many different looks with it depending on how much water you use and you can create endless colors by combining and controlling your water. 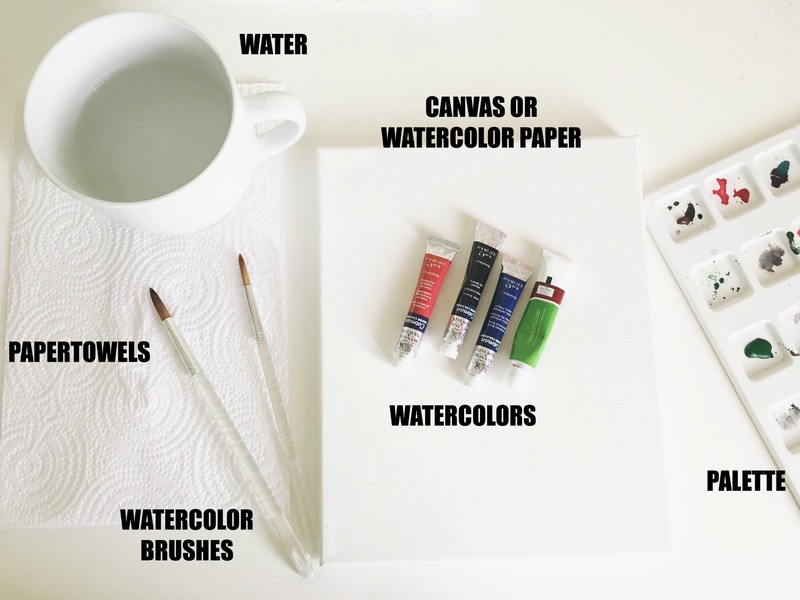 First, draw the basic outline of your image with your brush by using your watercolor mixed with a few drops of water on your palette to give it a darker look. 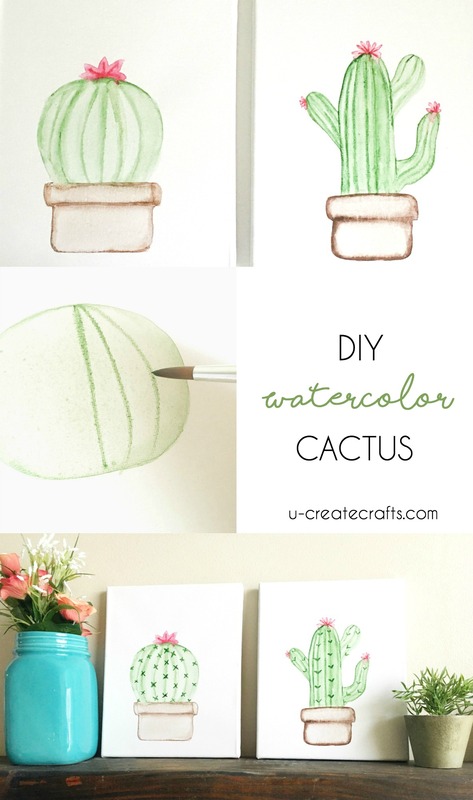 Fill in the shape by dipping your brush in plenty of water. The more water you use the lighter your color will be. Play around with the colors and water. 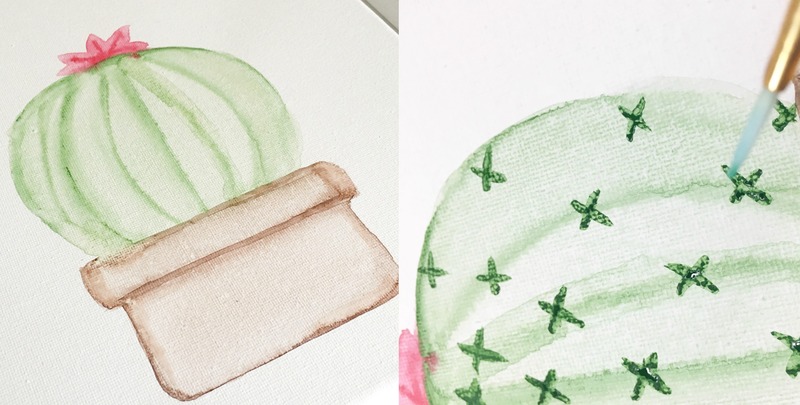 If you mess up just add more color or water – I love how forgiving watercoloring can be! Next, I dipped my smaller brush into the color and drew dark lines. You can go over them with a little water to give them a smooth look. I used this same concept with the pot using the brown color. Finish with a flower on top (I just drew little “v” shapes and added water to make the color spread a little bit. You can stop here…or if you want to add texture, I drew random little “x’s” on the cactus. Let dry for a couple of hours and it’s ready to add to your home decor! I decided to try a different cactus using the same concept so I would have a set of 2 to display! This is a great craft for a ladies night or fun for a teen to add to their room decor! Check out Michaels Make-a-Thon – 14 days of amazing deals, ideas & hands-on making! This post is sponsored by Michaels. I was given compensation and free product for this project. All opinions are by U Create. 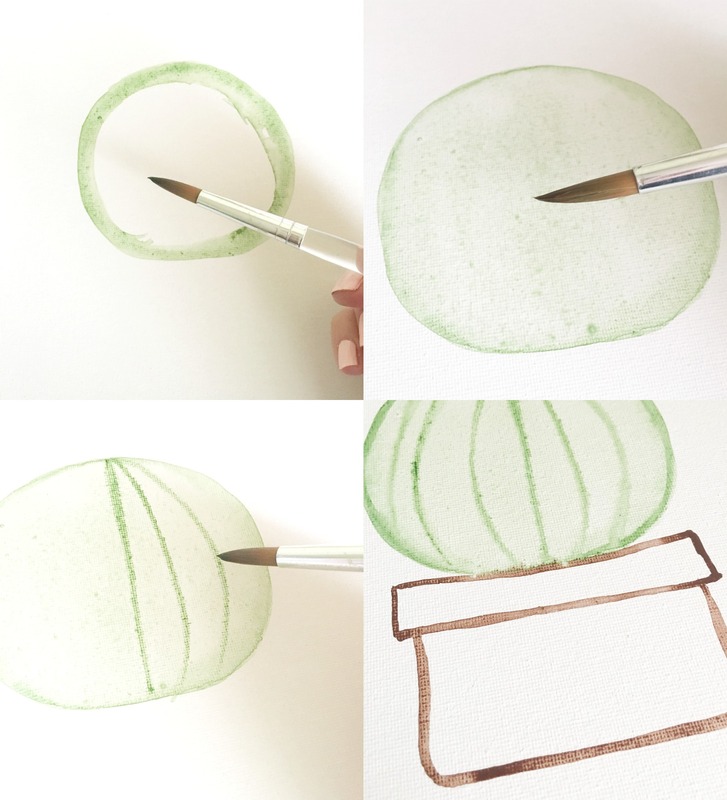 I’ve been waiting my whole adult life for SIMPLE watercolor tutorials like this. PLEASE CONSIDER DOING THIS REGULARLY???!!!!! 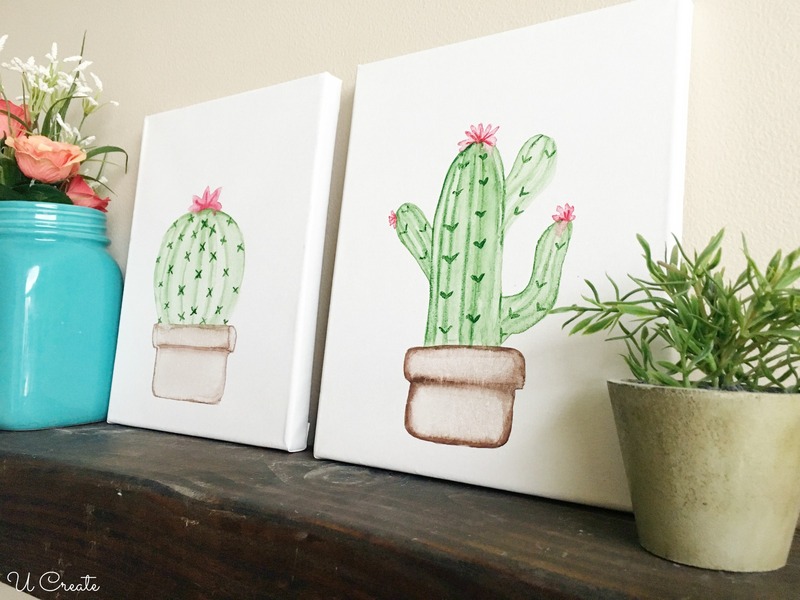 I love how these cacti look DO-ABLE. I can’t draw, so to see this simple thing excites me beyond words!!!!!!!!!!!!!!! Happy Day indeed. What do you think, could you do some lessons??? For people who are dying to paint with watercolor but who don’t know how to draw and don’t have the years it will take to learn!!!!!!!! Sure, I can see myself doing a simple watercolor tutorial maybe once per month. Simple, small designs are my favorite. Love the cacti. They’re a lot of fun to paint.